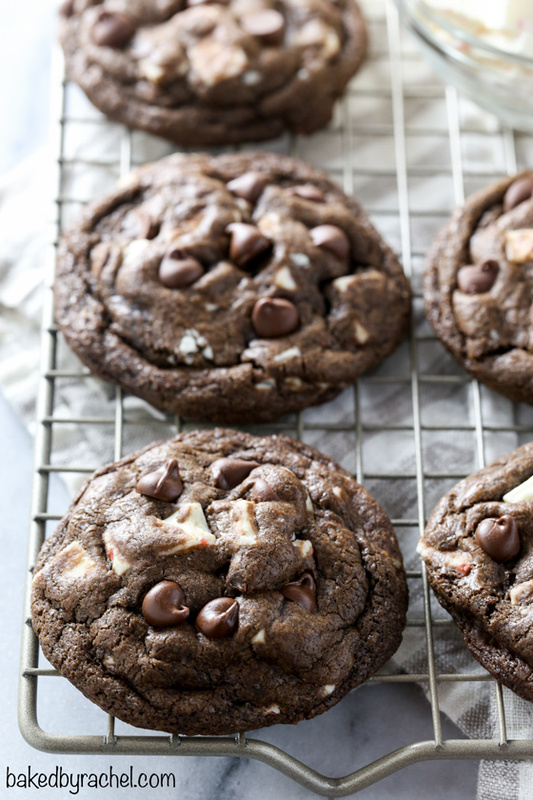 Soft and chewy triple chocolate peppermint bark cookies! 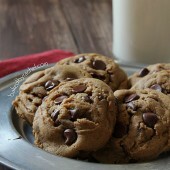 A fun holiday twist on your favorite chocolate chip cookie! We were only 8 seasons behind on The Walking Dead. The upside to that is we have so much to binge on and it’s winter break for most shows right now… double bonus! I’ve been hearing so much about The Crown that I’ve been seriously considering giving it a try. At least since it’s only on the second season, I feel like I’d be sort of on top of things and now way behind everyone else. I mean… still behind everyone but not 8 seasons behind. Have you watched The Crown…worth watching or don’t bother? I make decisions so much harder than they need to be sometimes. Case in point… food processors. Mine started behaving badly last week and I’ve been researching what to replace it with. I’m torn between two, from different brands, and can’t make up my mind. The negative reviews of each are what I can’t get out of my head… cracked bowls, melted plastic, dead after a few uses. I mean these seem like extreme cases and hopefully super rare cases but those negatives will always stick out to me. Do reviews tend to sway you on a purchase one way or another? There are so many food pairings that are just dreamy and perfect together. Chocolate and peppermint is one of them. 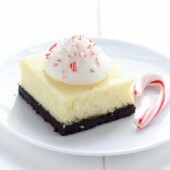 An incredible combination that’s perfect for the holiday season! 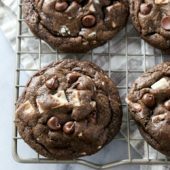 I put a huge twist on my favorite cookie, adding even more chocolate and peppermint! Seriously good. 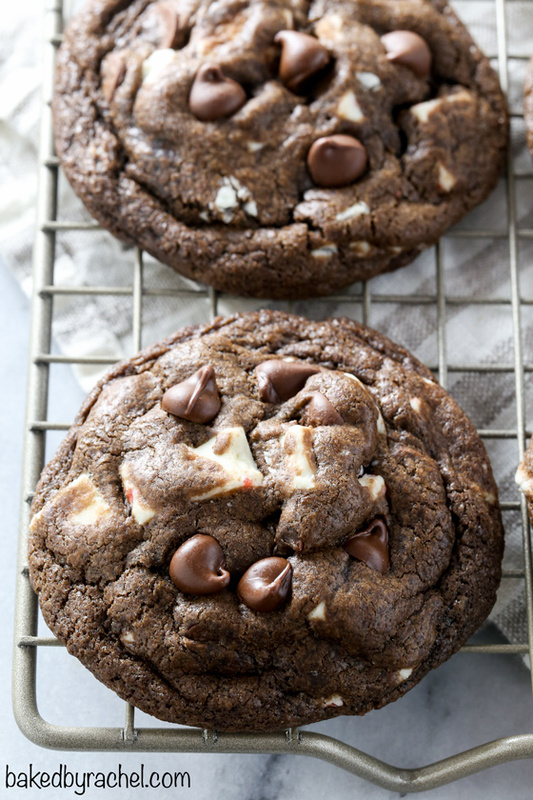 Soft and chewy triple chocolate peppermint bark cookies! A fun twist on your favorite chocolate chip cookie and a must make for your Christmas cookie platters! Chocolate fans will be in heaven with these! In a large bowl or stand mixer, beat together butter and sugars until light and fluffy. 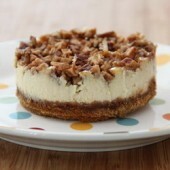 Mix in egg, vanilla and peppermint extract. Scrape bowl as needed. Add salt, baking soda and cocoa powder. Mix until just combined. Add flour, mixing until streak free and fully combined. Stir in chocolate chips and white chocolate peppermint chunks by hand. Transfer to a clean bowl or storage container. Chill until firm but manageable, at least several hours or overnight. Preheat oven to 350°F. Line a baking sheet with a silicone baking mat or parchment paper. Using a medium cookie scoop, scoop and shape dough into smooth balls. 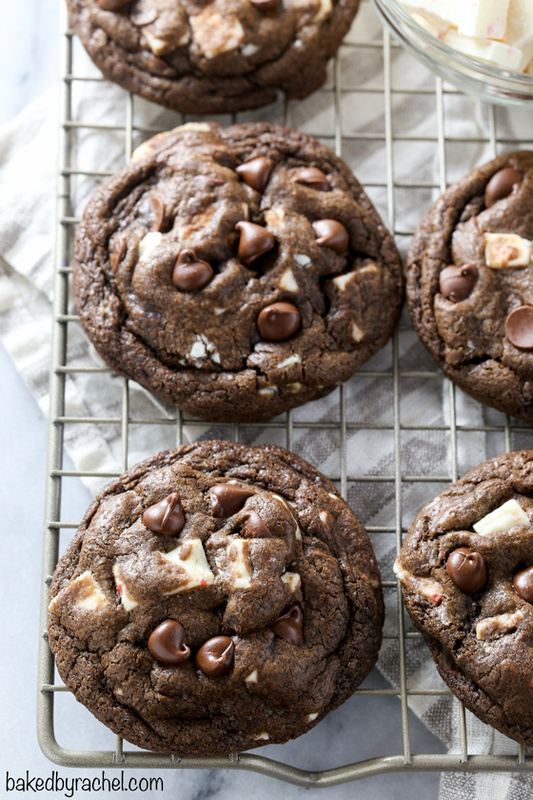 Optionally, add extra chocolate chips and white chocolate peppermint chunks to the tops of each ball of dough. Bake for 10 minutes. Allow cookies to sit on the tray for 2 minutes prior to transferring to a wire rack to cool completely. Store cooled cookies in an airtight container. These look PERFECT!! I’ve pinned them for later! My husband and I both love The Crown and you can totally catch up quickly. And I feel you on making decisions. Everything has at least a few bad reviews, so I can’t ever seem to decide! Thanks so much, Courtney! Definitely considering giving The Crown a try sometime soon! Perfect, and pretty as a picture! I’ll only watch The Crown if I have a plate of these, please ;-) kidding! I am curious to see it, too. Thanks so much! You should check it out. So far I’m loving it!